A user must have a role to get access to this system. You can create a user role that belongs to the platform or merchant. Platform type roles can be permitted to access platform modules and common modules like category module and tax module. 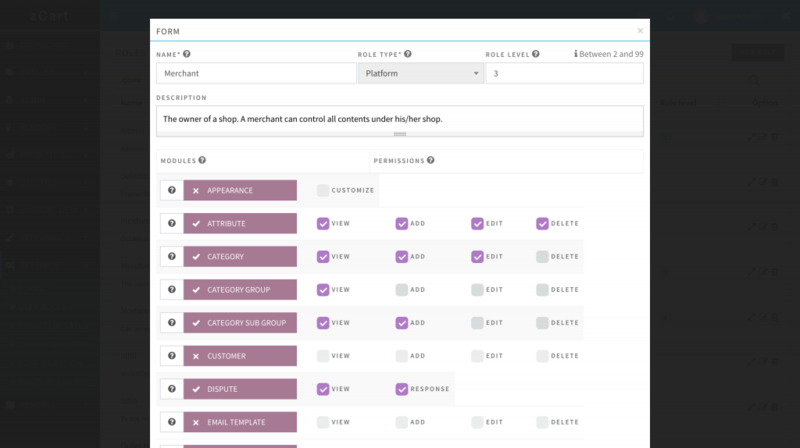 Vendor admin can create users using merchant type roles to manage their store. You can also allow vendors to create their own user roles with own permission set.